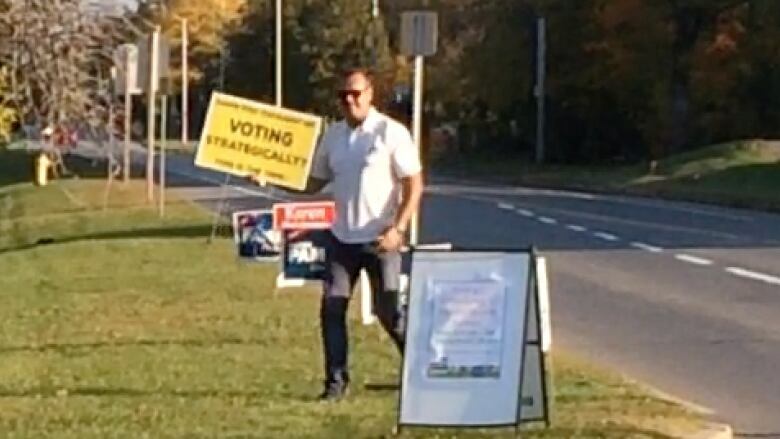 The Conservative candidate in Ottawa's Kanata-Carleton riding has apologized for taking down illegal election signs in his riding on Sunday, saying it should have been left to the city's bylaw department. Kanata resident Keith Selevich said he was walking his dog Thor near the intersection of Teron Road and Beaverbrook Road around 5 p.m. Sunday when he saw someone who had been driving a white truck pull a yellow sign that read, "Have you thought of voting strategically? This is the time!" out of the ground and replace it with a Conservative sign. When the driver got out again a short distance away, Selevich said he recognized the man as Walter Pamic, the Conservative candidate the new riding of Kanata-Carleton, which has no incumbent. "I just took out the camera to record the licence plate… I kept the phone on him and found out it was him," Selevich said. Pamic said in a statement on Monday afternoon that he had come across "a number of illegal signs" along Teron Road and Beaverbrook Road. "As [the signs] violated the Canadian Elections Act, I took it upon myself to remove them," he said. "After discussing the matter with bylaw officers, I learned that I should have notified bylaw rather than remove the illegal signs myself. I apologize for this mistake." Elections Canada rules say so-called "third party" election signs (that don't belong to a political party) have to say which group is behind them or someone could launch a complaint with its commissioner. The yellow signs in question do not say which group created them. 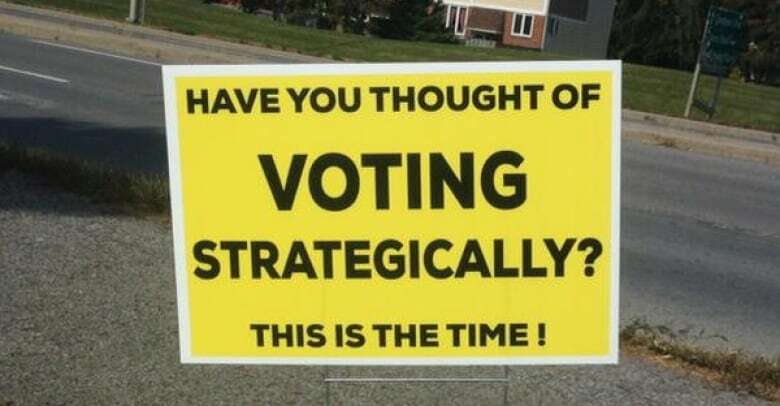 Both the Kanata-Carleton Strategic Voting Committee and Vote Together national strategic voting campaign say the signs aren't theirs. Elections Canada sign regulations also say it's illegal for anyone to remove an election sign, including a third-party sign, unless it's a "public authority" such as the municipality or province doing it for public safety reasons. 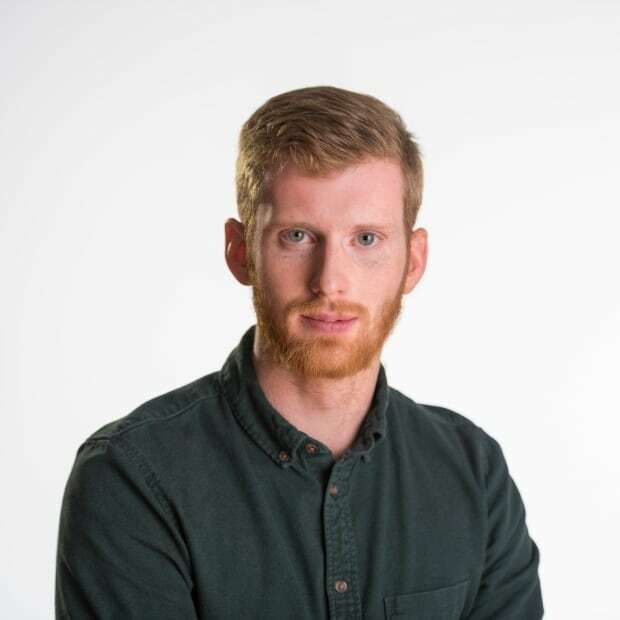 Andrew Foote has been with the CBC since February 2013 after graduating from Carleton University. He can be reached at andrew.foote@cbc.ca or @amkfoote on Twitter.